Is to provide safe, reliable public transportation in a respectful manner for the citizens of Beaufort County. Beaufort Area Transit System (BATS) provides transportation needs for the general public, the elderly, and persons with disabilities. The cost of transportation depends on the geographic location of the origin and destination. 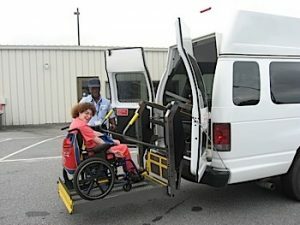 Beaufort Area Transit is a division of the Beaufort County Developmental Center, Inc. Beaufort Area Transit is instrumental in helping BCDC accomplish its mission to empower citizens with disabilities. Medicaid Transportation is for citizens of Beaufort County who are Medicaid eligible. For details and approval, contact Beaufort County Department of Social Services at 252.946.5500. Senior Services are available through the Adult and Aging Services Department with Beaufort County Department of Social Services. For details and approval, call 252.946.5500. 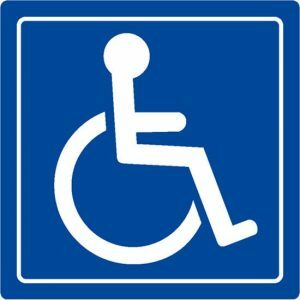 Elderly and disabled, general public, and employment transportation are approved and scheduled by Beaufort Area Transit. Call 252.946.5778 about the application process. Riders will pay an affordable fee for service. Reasonable accommodations or modifications must be requested when scheduling a trip. BATS will attempt to honor all reasonable accommodation requests. BATS has recently earned an “Outstanding” score from our recent survey. Thank you very much. If you would like to make a suggestion as to how we can improve your riding experience with us, please go to the Contact Us page and send us an email. We look forward to serving you in the future!